Learn more about Sila Thai. 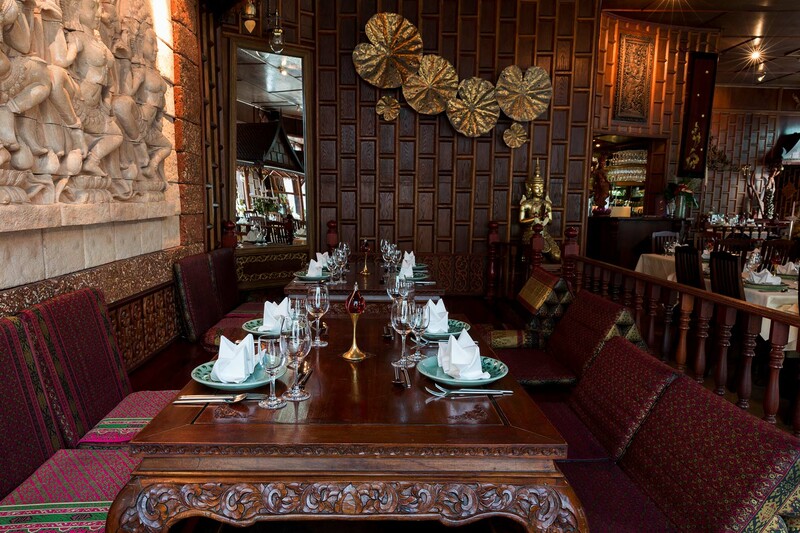 We sincerely welcome you to our restaurant “Sila Thai“ and hope that we have a wonderful evening together. The name Sila comes from a very special type of fired brick, whichwas used in the old Siam by the Khmer for the use in building the temples and Buddha sculptures. In the entrance area you’ll find these stones and also, as a border for the pictures set in stone. To make an authentic atmosphere all the installation and decoration you see have been imported from Thailand. The decorative strip we used has a length of 6 Kilometers. The wooden figures and stone masonry comes from Ban Dan Kwian a town north of Bangkok which is famous for its Arts and Crafts. All together we had three 40 foot containers shipped from Bangkok to Hamburg, all this was built into the restaurant. Our meals in Sila Thai are very carefully prepaired using traditional recipes. The Thailand kitchen lives from its fresh and multiple choice of herbs and spices and of course the harmonish combination. So that you can “get to know” the different flavours, we have worked out special balanced menus.Just to get rid of a misunderstanding we naturally like to eat very spicy, but not all our meals are like a “Fireball”. You can recognise how spicy our meals are by the numbers of chillipeppers shown. Now you have the appropriate personal taste.